Though findextrawork is about earning and finding work sometimes it pays to relax and play. One such example is playing free online bingo games where you can win cash prizes. This article will discuss where you can claim without having to give your credit card or bank details and still have the same chance as paying players to win. See www.borntoloaf.co.uk for examples of those that you can claim. Some websites offer new players and new registrants £1, £2 or £5 to play in an effort to entice you. They hope that you will enjoy it so much that you will go on to become a regular paying customer. So they may loose up to £5 free bingo games, but over months and years could earn money from your regular stakes. Players benefit by having a bit of fun playing with every chance of winning cash prizes, usually without having to leave your credit card or bank details. They want to give you a realistic experience, so you usually get access to the full website. If you win you get to keep the winnings. If the cash prize is large enough you can request a payment, either as a cheque payment or into your bank account. Smaller wins, usually under £10, will be paid in the form of more credits or for slot machines. Some sites offer casino or slot machines that can be played between loading up times. They are played 24 hours a day and are counted down to allow people time to buy a ticket. In the meantime they offer chat rooms, roulette or cards like blackjack or poker to keep you on the gaming website and spending. Herein lies the hidden danger of accepting these and we will now look at the cons of applying for it now that we have discussed the pros. The gaming platforms are hoping to entice you to come to them for one purpose - to get your cash. By offering you free bingo cards they hope you will enjoy them so much that you go on to spend your own money. So the biggest disadvantage is that you will be tempted to keep on gaming and gambling. Accept them by all means but think long and hard about continuing to play and gambling. Further on there is a link to another of our websites where we have carefully chosen several websites that offer these. We have trialled them and like these because we have won and only spent between 5p to 25p on each. Playing was fun and safe, so provided you set your spending limits after using your credit you can have as much fun as you would visiting the local village hall or at a big hall like Mecca or Gala. £5 will give you 100 5 pence games or about 20 higher prize value ones. The 5 pence game prizes may only be in single or double figures, but the 25 pence or 50 pence ones will have 3 or 4 figure cash prizes. Someone has to win them and it could be you. All you have done is given away your e-mail address and you could use a disposable one like hotmail so that you avoid any spam, though in our testing of them we have never had any spam. Though we do get monthly newsletter offers and have had more offers. So long as you only stake what you can afford then it is fun. Most have live chat rooms and there are new friends to be made. When we chatted the other players were ever so friendly and a good laugh. So now you may be wondering where you can do this - well here is the easy answer! Visit our other website www.borntoloaf.co.uk where there is a list with direct links with offers. We have tried these and can highly recommend them. 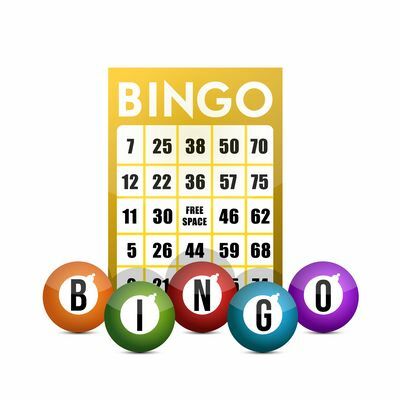 Other free online bingo money offers that you may see on the internet include matched bonuses which means that you have to part with your own cash. If you deposit say £10 or £100 into your account then they will deposit the same amount. If you regularly play then this can be a great incentive and a winner for both the site and the player. So in conclusion do consider claiming but be careful not to deposit money you cannot afford to lose. No-one gets rich from playing, but real people do get lucky and win big prizes so take them, try your luck and have fun. Treat it as a leisure pursuit which has to be paid for like most other interests and have fun. If you win - well done and enjoy spending your money.